Browse our stunning collection of octopus recipes, well-loved by Italian chefs all over the country. 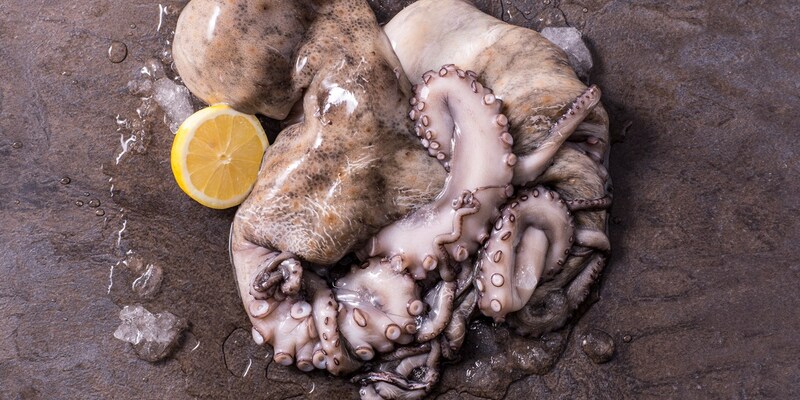 For a simple preparation, try Salvatore Elefante's grilled octopus salad recipe, where he boils the tentacles before grilling for a crispy exterior, and serves with a green bean salad..
For an even simpler preparation, try this Luciana-style octopus recipe, cooked with olive oil, lemon and chilli for a flavourful antipasti dish. Daniele Usai's braised octopus recipe is slightly more involved, but the results are stunning. He freezes, braises, then tightly wraps the tentacles into a ballotine before setting, then slices 'medallions' and serves with sour cherries and sour cream.